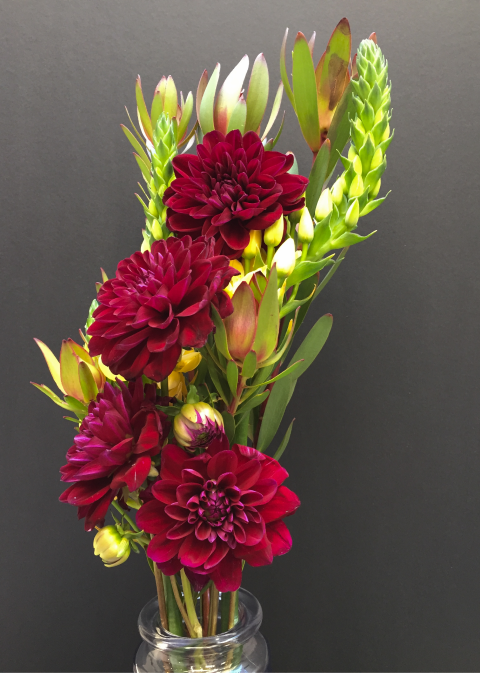 There is a sense of creative looseness in floral design that is a welcome respite from the pixel-precission of digital product design. 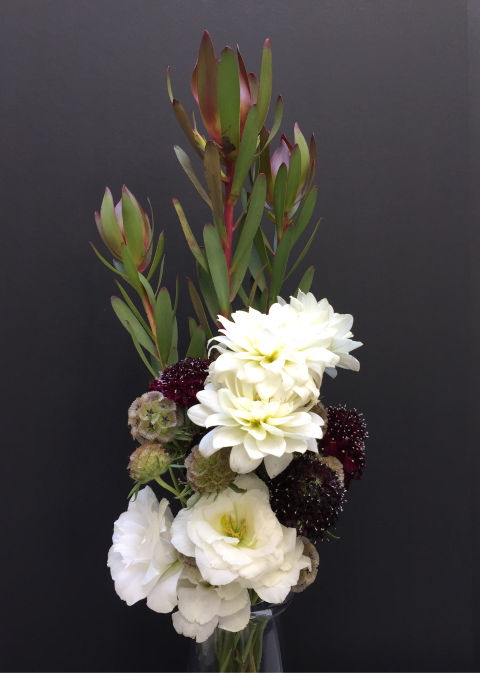 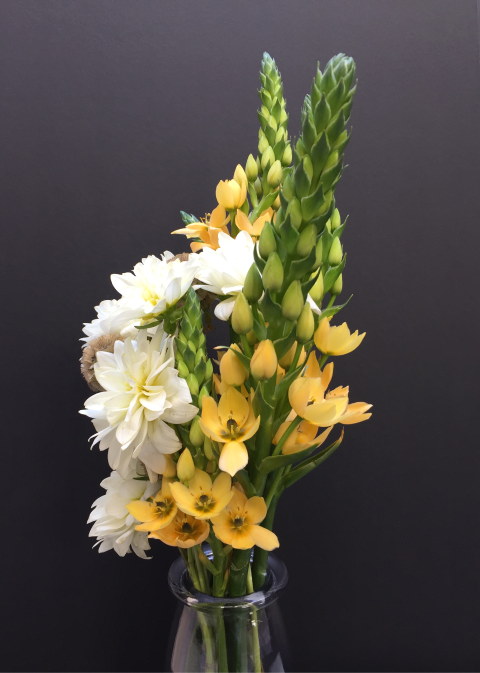 To create a floral arrangement is to work with the shape of stems to achieve the desired effect in a composition. 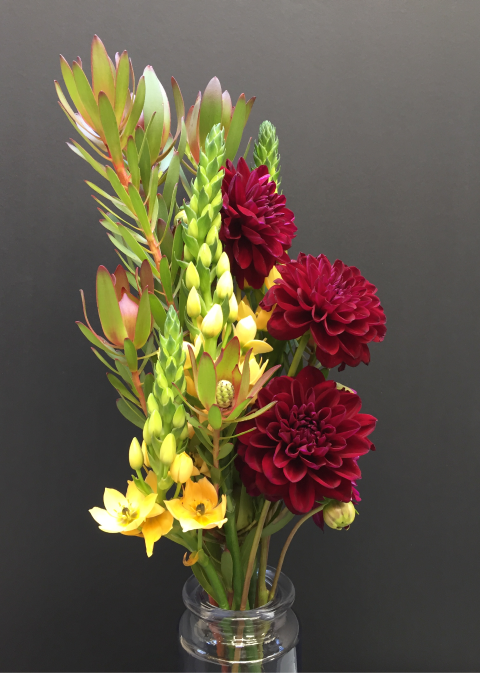 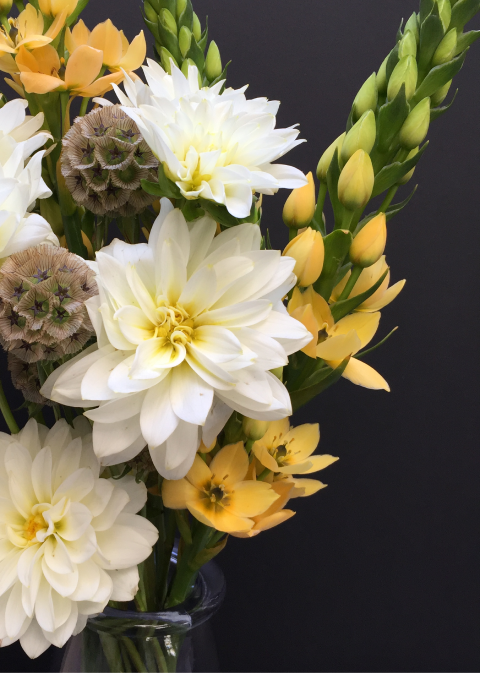 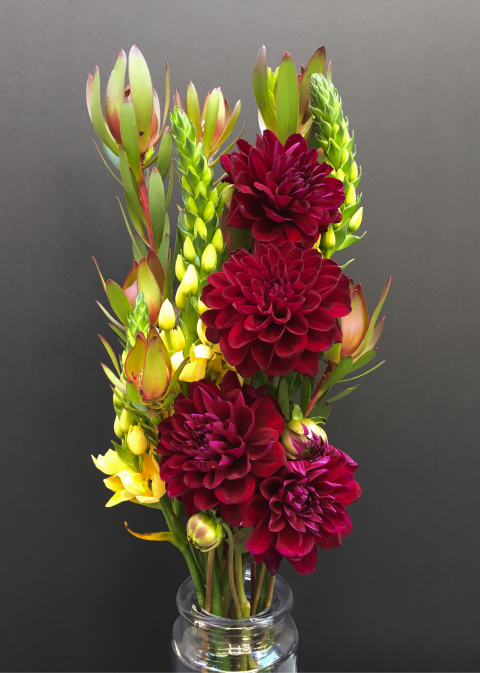 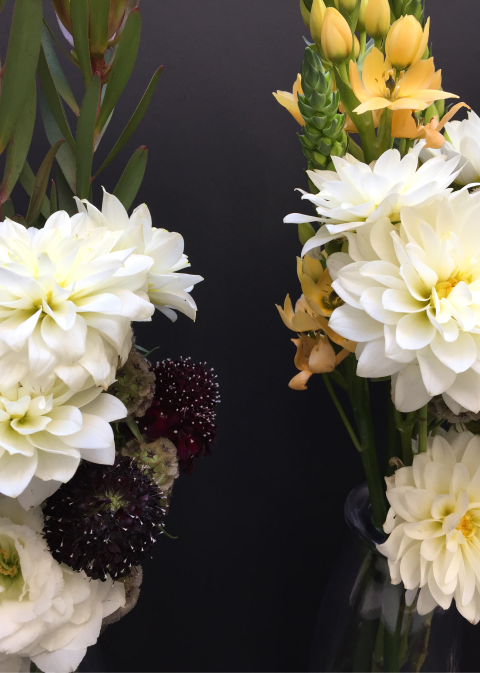 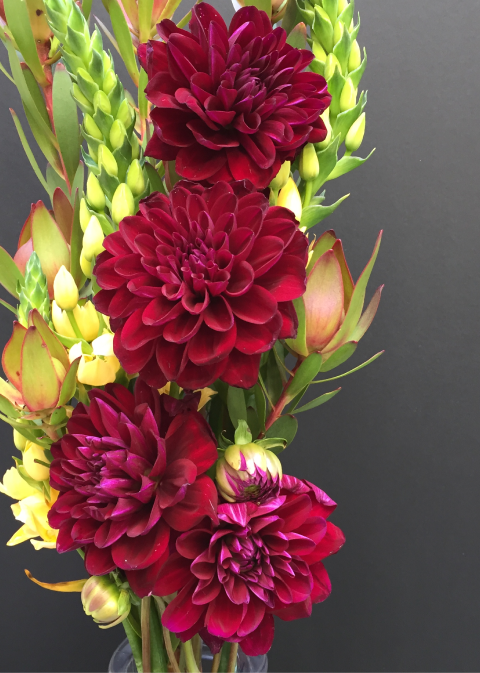 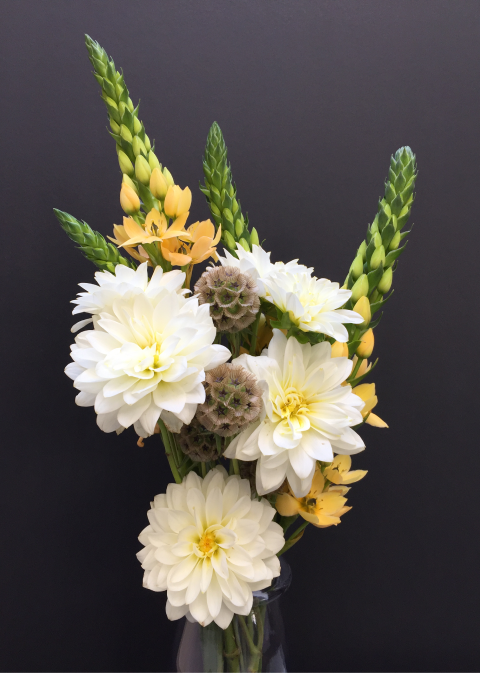 Below are several Mother's Day arrangements featuring the Dahlia flower.